Everyone has heard of hot flashes. But most people don’t know exactly what they are, when and why they occur, and if there is the treatment of any kind that can curb the symptoms. After all, aren’t hot flashes only for senior women? Sure, hot flashes in women over 60 are possible, but we’re typical with hot flashes in women over 50, or even in their late 40s. The average age for menopause to begin is about 51, and hot flashes are one of the key indicators that an individual has reached menopause. We’ll answer all those questions and more in this article. First, we’ll define what hot flashes are, what causes them, and if there are any factors that encourage them to happen more frequently or with greater intensity. We’ll also explore what compounds within the body are involved in causing hot flashes. Then, we’ll consider what you can do to suppress hot flashes, or at least help you get through them. For starters, there are some routine-based changes that you can make, as well as both pharmaceutical options and natural, herb-based solutions. What are hot flashes and what do they feel like? So what causes a hot flash, exactly? How are hot flashes triggered? 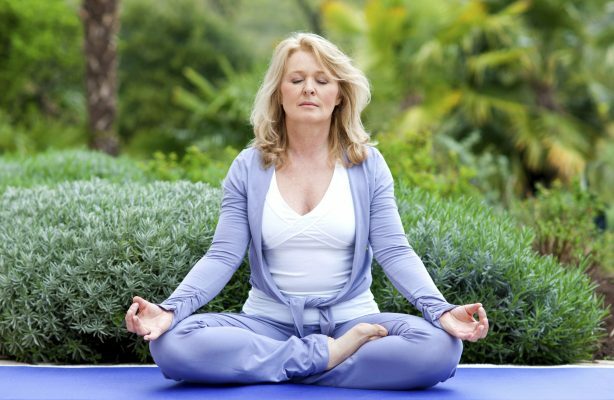 How do I prevent hot flashes? What other effects might hot flashes and menopause have on my overall health? If you’ve ever asked the question, “so, what exactly is hot flashes,” or something like that, you’re in the right spot. As you may have guessed, hot flashes are a sudden feeling of heat throughout the body and can result in a red, flushed face and excessive sweating. If they happen while you’re sleeping, they can be classified as night sweats and can interrupt sleep patterns enough that they could lead to insomnia. Hot flashes usually happen suddenly and without warning, although the length of time that they last can vary significantly. A likely range is somewhere between a few seconds to as long as 10 minutes, although the average sits at about four minutes. As such, some women’s lives are greatly affected by hot flashes while some that experience the condition only consider them to be somewhat annoying. While hot flashes have been studied extensively by the medical community, there is not a consensus regarding what exactly causes them. Hot flashes are perhaps the most obvious signal that the body is going through the hormonal changes that come with menopause. Somewhere between 75 and 85 percent of menopausal women experience hot flashes. Evidence points towards the aforementioned significant hormonal changes in the body as a primary encourager of hot flashes. As we’ll see in a bit, this is at least in part why women going through menopause experience hot flashes at a greater frequency, but they are not necessarily limited to women in that phase of their life. There are other causes that could be linked to hot flashes, including chronic issues and health problems such as diabetes and obesity. As with many other health issues and conditions, triggers for hot flashes can vary greatly from person to person. Simply put, no two individual’s body chemistry is the same. If you feel as though there are things that you do on a daily basis that seem to be causing or at least facilitating an environment conducive to hot flashes, consider keeping track of what those triggers may be to find out whether or not a pattern is emerging. If you’re already experiencing hot flashes, it’s hard to say whether or not you’ll be able to completely eradicate them from your life. But that doesn’t mean that you won’t be able to manage them by finding your triggers and avoiding them and making the decision to be aggressive instead of passive and reactive when it comes to living a healthier lifestyle. It’s important to act instead of to react. Avoiding the triggers listed above is a great start, of course. Then, combine those with some of our ideas for quick relief and treatment below. We’re going to examine everything from natural remedies to supplements, herbs, and oils, to pharmaceuticals, there are a host of methods that claim to work best. Of course, you’ll need to explore what works best for you as an individual, but we’ll aim to arm you with as much information as we can before you take a step in any one direction. There will be pros and cons to each method, so be sure to take your time in considering what the best fit is, or if a combination of products and practices could help you achieve your desired result. Once you’ve committed to avoiding some of your likely triggers for hot flashes, the next step to take might be to try out a natural remedy. And don’t worry, there are several to choose from. Acupuncture is one natural option. 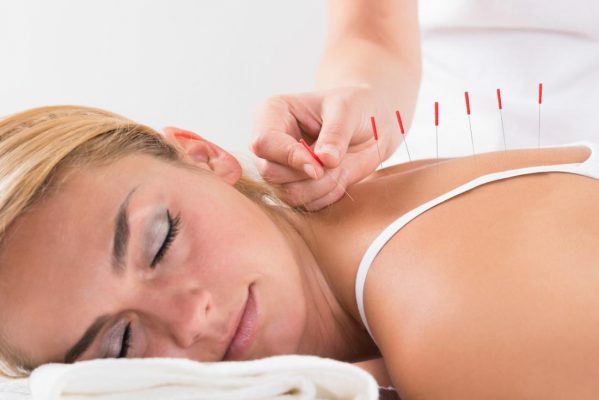 A recent study of more than 200 women who were experiencing consistent symptoms of menopause, including hot flashes and night sweats, found that acupuncture led to a “significant reduction” in hot flashes and overall symptoms. Make sure, however, that any acupuncture that you seek out simulates a true acupuncture point and isn’t simply sham acupuncture. If you’ve done what you can to avoid your hot flashes from happening and you still feel them coming on, there are a variety of natural remedies when it comes to reducing their impact. This includes practices as simple as dressing in layers or sipping water as you feel a hot flash coming on. For night flashes, plan to wear cotton pajamas and consider using cotton linens on your bed, and keep an ice pack on your nightstand just in case. Other simple changes to consider: lower the temperature in your bedroom, add a fan near your bed, or purchase a cooling gel pad to lie on in the evening. Also, depending on your current level of activity, taking some time to reduce stress and be active could go a long way towards reducing the frequency and intensity of your hot flashes. This could include spending dedicated time doing cardio, including jogging, biking, swimming, or even just walking for a period each day. Home gyms with ellipticals or other machines can be a great choice here, too. Additionally, the risk of osteoporosis (causing weakening bones) is much higher during and after menopause — more on that later. Because of this, light strength training is important to help build both bone and muscle strength. It could also extend to meditation or guided breathing, or any relaxation technique that helps you find a calm, relaxed state. Yoga and tai chi are great options to consider as they combine relaxation and physical activity that will work to strengthen your body. Activities like these will go a long way towards reducing hot flashes and the irritability and fatigue that often accompany them. If timing is an issue when it comes to your schedule, be sure that you’re getting some vigorous housework or yard work that keeps your muscles and bones active. Every little bit helps, after all. You’ll also find that remaining active and centering your mind will assist in better sleep, too, which should help reduce the symptoms of hot flashes in women. Also, consider your diet. Are you eating a well-balanced diet with controlled portion sizes? It’s just overall good advice for leading a healthy life, of course, but it also can help reduce your risk for out of control menopausal symptoms, including hot flashes and night sweats. Hand-in-hand is the reduced risk for heart disease and osteoporosis, too. 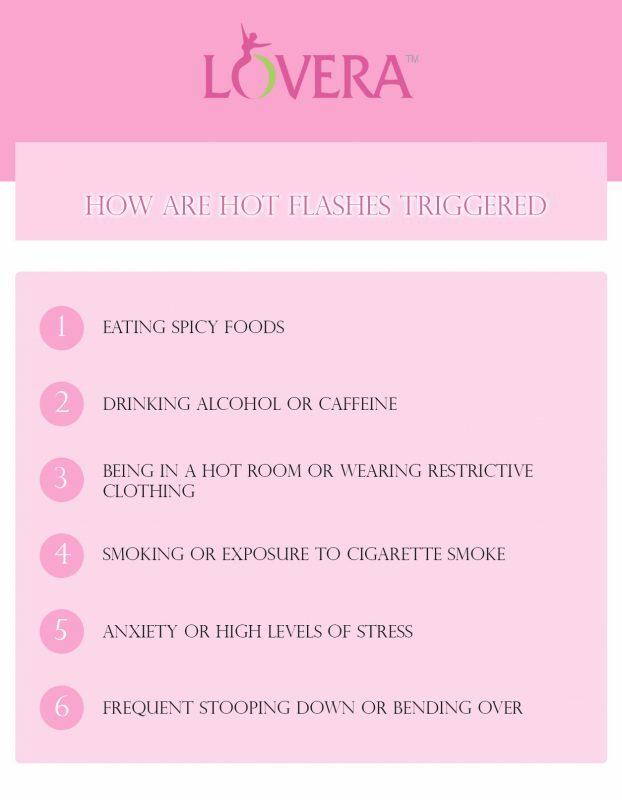 Foods that trigger hot flashes in women include those that are spicy, high in fat or sugar, or even caffeinated and alcoholic beverages tend to raise body temperatures and in turn worsen hot flashes. A recent study concluded that Mediterranean-style diets, including fresh fruits, vegetables, and whole grains, can contribute to a reduction in hot flashes. Again, know your own body, and pay attention to what food and drinks may be affecting the frequency, length, or intensity of your hot flashes. If you smoke, stop as quickly as you can and avoid secondhand smoke whenever possible, for all the reasons cited above. It may not be easy, but curbing hot flashes are just another reason to commit to quitting. Lastly, do your best to be on time (or early!) to each of your work and personal commitments. Running late causes stress in all of us, of course, and stress can increase your body temperature and, in turn, the likelihood of hot flashes. If you’re only looking for a natural remedy, be sure to use caution when it comes to supplements. While there are plenty of outstanding natural options, not all supplements can make that specific claim. Many of the below-listed substances are not necessarily medically proven to work, although they are effective for certain people. That said, there is not yet a medical consensus about the effectiveness of many of these options. Red clover. The flower tops of these plants, red clover can be used to treat a variety of conditions. Dong Quai. The root of the dong quai plant is used to assist with migraine headaches in addition to treating hot flashes. Black cohosh. An herb first used for medicinal purposes by Native Americans, its popularity spread all the way to Europe in the middle of the 20th century. Hot flashes are just one of several medical conditions that black cohosh is thought to help treat., including anxiety, skin conditions, and more. Evening primrose oil. Extracted from the seed of the evening primrose plant, this oil is often used for skin diseases, arthritis, osteoporosis, and other ailments, including hot flashes. Soy. Soy is another example of an element that can be taken in a variety of forms and for a variety of ailments. There are plenty of health issues, such as high cholesterol, high blood pressure, as well as heart and kidney disease, that soy can help treat. Flaxseed. A better option for women with mild hot flashes as the lignans included in flaxseed can help regulate female hormones and help with night sweats, specifically. As always, we’d encourage you to check with your doctor before starting to regularly take a supplement of any kind. There is always a chance of side effects due to the potential for any two elements, whether pharmaceutical or natural, to work together and create a negative impact. There’s always a pharmaceutical option for ailments and medical conditions, and hot flashes are no exception. And again, if you’re already taking a supplement, even if it’s natural, make sure that your doctor knows what it is and how often you’re taking it before he or she writes you a prescription. Here are a few options when it comes to prescription treatment for hot flashes, according to WebMD. Gabapentin is an anti-seizure medication that has been shown to assist in the reduction of hot flashes. Clonidine can be a major help for both high blood pressure and hot flashes in women. Brisdelle is a paroxetine formula that is designed specifically for hot flashes. Low doses of anti-depression drugs such as Prozac, Effexor, and Paxil have been known to help reduce hot flashes in women. The bonus here is that they can also assist in treating other symptoms of menopause, including mood swing, anxiety, and depression. There are multiple approaches when it comes to treating hot flashes and night sweats with hormones. Hormone Replacement Therapy, or HRT, is one form of has gone through several phases of varying popularity. For instance, a 2002 Women’s Health Initiative study was halted because some participants who received a certain kind of estrogen were found to have a significantly higher risk of stroke, heart attacks, and other serious conditions. In the wake of that study, women were understandably apprehensive to consider hormone therapy. But more recently, that study was thought to have isolated hot flashes in older women, including some women over 60 who were often postmenopausal as those that were experiencing the adverse side effects and conditions. HRT requires treatment with synthetic hormones and is generally reserved for women whose hot flashes are having a significant impact on their quality of life. The process involves estrogen supplements that level out the amount of estrogen in your system, therefore reducing the frequency and the severity of both regular hot flashes and night hot flashes. The main downside is the level of risk to some of the side effects or conditions that could be encouraged by hormone therapy. This includes the risk of heart attack and stroke, as well as blood clots, breast cancer, gallbladder disease, and dementia, according to the National Institute on Aging. Women who have preexisting conditions such as cancers, heart attacks, liver disease, and blood clots would be encouraged not to consider taking hormones to treat hot flashes, as all of the above side effects would be more likely to be a serious issue in someone who has already experienced the condition. As mentioned earlier, menopause is connected with a decline in estrogen production, which in turn affects the amount of calcium in your bones. This can lead to a decrease in bone density, and ultimately, osteoporosis and greater susceptibility to bone fractures. Many of the health and fitness tips covered earlier in this article are the best way to combat bone issues, as well as consuming plenty of calcium and taking Vitamin D supplements. There is also some research to suggest that menopause could increase the likelihood of heart disease. Remember, hot flashes are generally a signifier of menopause, so be sure to pay attention to what your body is telling you and whether or not you need to refine your diet or increase your exercise routine. There’s also a link between high blood pressure and hot flashes in women. High cholesterol and thickening arteries are both risk factors that only increase during menopause, and again, hot flashes can be an indicator that these issues need to be checked out. Thyroid issues are another thing to look out for. Hypo- or hyperthyroidism is a multifaceted issue that often gets worse around the start of menopause. Dangerously, many of the symptoms of thyroid disease mirror those that are present during menopause, which means that women run the risk of ignoring symptoms as “just menopause” when in reality, something more serious may be ongoing. These symptoms can include exhaustion, dizziness, mood swings, hair loss, and … hot flashes. Believe it or not, there is some research to suggest that women who are experiencing intense hot flashes might have a lower risk of breast cancer, based on a study of 1,500 women. Remember, 75 to 85 percent of women experience hot flashes. They aren’t always confined to women over 50, either: hot flashes in pregnant women are a real thing, and even if they are rare, have been known to be hot flashes in young women, too. In terms of how long they will last, well … hot flashes can last for anywhere from seven to 10 years. And those are just the big ones, according to Dr. Rebecca Thurston at menopause.org. There’s also something called a “Super Flasher” (yep, that’s right), marked by women who endure hot flashes for north of the 10-year mark. If you think you’re starting to get hot flashes are dreading the start of hot flashes, are already in the throes of menopause, know that you are not alone — far from it, in fact. The first thing to remember is to always pay attention to your body. If you think you are simply experiencing hot flashes or menopausal symptoms, the best plan is still to visit your doctor. Remember, symptoms of much more serious conditions can masquerade as menopause — including hot flashes — so don’t delay. Once you and your doctor have established that you are experiencing perimenopausal or menopausal hot flashes, read through our suggestions for lifestyle changes and natural remedies. First, work on adjusting your environment, meaning the things that you can control. From diet to exercise to sleep habits and dietary supplements and vitamins you might be taking, review it all. If changes are necessary, make them. Don’t wait any longer. Then it’s time to explore some of the natural remedies suggested above — after speaking with your doctor, of course. Make sure that anything you select at your local drugstore isn’t going to react with whatever your doctor has previously prescribed you, whether or not it has anything to do with hot flashes, night hot flashes, or menopause. There are also a host of behavioral options, included the aforementioned changes to the sleeping environment, therapy, stress reduction, and meditation, or even hypnosis. If you are interested in exploring a more drastic step, including pharmaceuticals or hormone therapy of any kind, that will also need to be a lengthier conversation with a medical professional. There are billions of women who have gone before when it comes to experiencing hot flashes. Use the resources available to you to combat them, and do your best to control everything that you can control. If you can do that, you’ll be well on your way to not just enduring your hot flashes but persevering through them and being stronger and healthier because of the changes they may encourage you to make in your daily life. 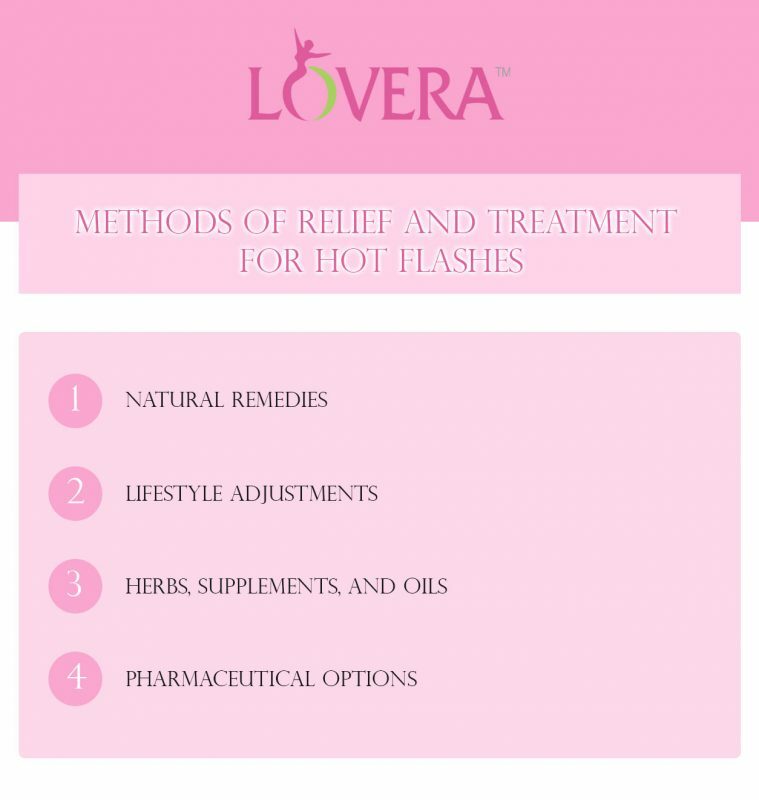 This entry was posted in Menopause and tagged Hot Flashes In Women, Menopause, womens health.